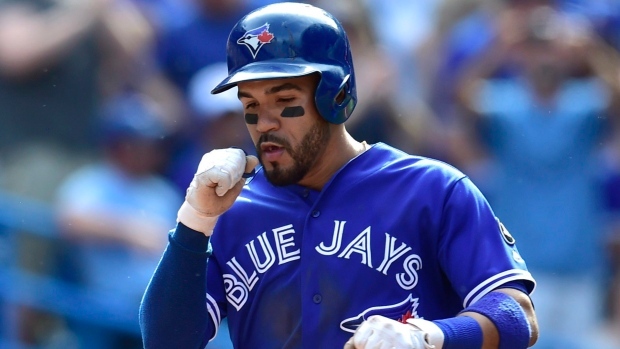 The Toronto Blue Jays have placed second baseman Devon Travis on the 60-day injured list. Travis underwent left knee surgery earlier this month to clean up a slight meniscus tear and the team said at the time he would be re-evaluated in four-to-six weeks. Travis appeared in 103 games last season for the Jays, posting a .232 average with 11 home runs and 44 RBIs. The 28-year-old was diagnosed with left knee inflammation earlier in the month and had already been shut down by the team. Travis has missed time due to surgeries on his left shoulder and right knee over the course of his four-year MLB career . The Blue Jays also announced that the club has signed veteran reliever Daniel Hudson to a one-year, $1.5 million contract. Hudson, 32, had a 4.11 ERA in 46.0 innings with 44 strikeouts and 18 walks for the Los Angeles Dodgers last season. Over nine Major League seasons, has has a 3.99 ERA and 545 strikeouts in 619.2 innings.